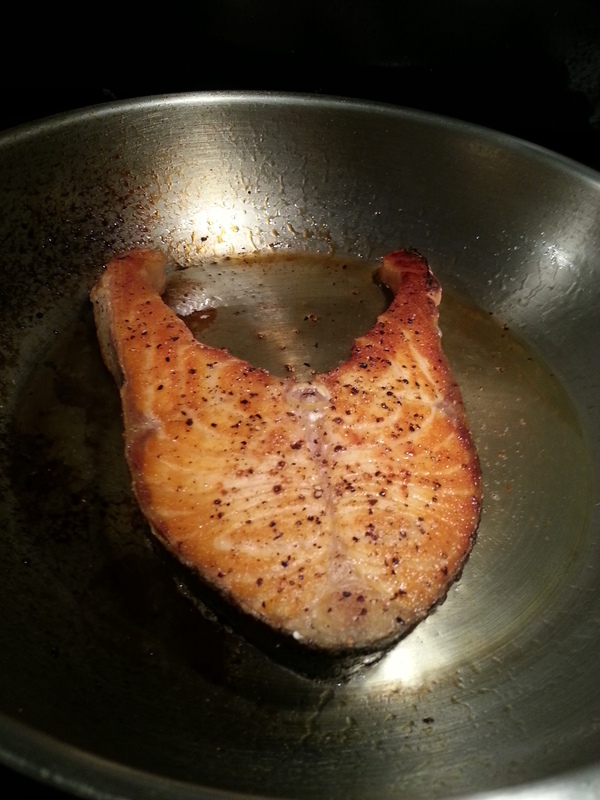 It never occurred to me that salmon filet might taste different from salmon steak. After all, filet is just the side of the fish, and steak is two sides of the fish joined by bone. It should taste the same, right? I decided to pan sear both and see if I liked one more than the other, thinking that there would be no difference. There is no big difference, but I do like the filet more. Either way though, salmon is one of those quick and easy ingredients that can really shine on its own. Click for more Salmon Goodness!